Ivonne Yolanda Díaz del Valle Oliva became a GOJoven Fellow at age 26 and has volunteered at the National Association of Alumni Fellows for the Development of Honduras. She has facilitated camps for hundreds of youth throughoutHonduras, developing their leadership through environmental awareness and team activities. Ivonne and her organization saw in GOJoven an opportunity to learn more about sexual and reproductive health and integrated the topic into their youth camps. 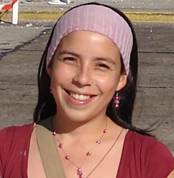 Ivonne graduated with a Bachelor’s Degree in Biology and completed her thesis on knowledge and behavior in relationship to the environment. She is a passionate leader who believes strongly in peer education and who values teamwork.